Dorset Shire. 1626 John Bill in An Abridgment of Camden's Britannia. 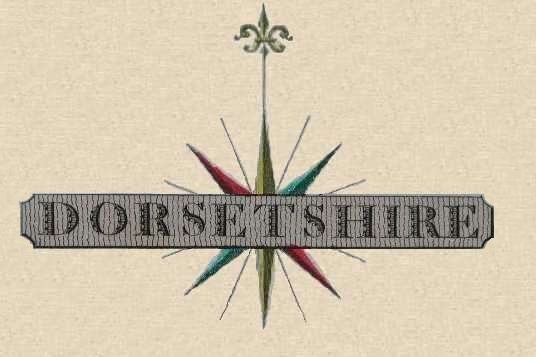 A General map of Dorset Shire. 1673 Richard Blome in Britannia Robert Ross & Co.
Dorset. 1694(1797) John Sellar republished in Francis Grose's Antiquities of England and Wales. Dorsetshire. 1695 Robert Morden in Camden's Britannia Robert Ross & Co.
Dorsetshire. ca.1767 Emanuel Bowen for the Atlas Anglicanus -this impression republished by Carrington Bowles for Bowles's New Medium English Atlas, 1785. Dorsetshire. 1835 J. & C. Walker. for Walker's County Maps. pub Longman, Orme and Reese. Dorset. 1835 Robert Creighton, engr. J. & C. Walker for Lewis's Topographical Dictionary. Weymouth and Melcombe Regis. ca. 1835 Robert Creighton, engr. J.& C. Walker for Lewis' Topographical Dictionary . Wareham. ca. 1835 Robert Creighton, engr. J.& C. Walker for Lewis' Topographical Dictionary. Wareham.Shaftesbury.Lyme Regis 1837 Robert Creighton, engr. J.& C. Walker for Lewis' Topographical Dictionary . Dorsetshire. ca.1840 Joshua Archer for Dugdales Curiosities of Great Britain. Dorsetshire. 1843 Archibald Fullarton Robert Ross & Co.
Dorset. 1848 Robert Creighton Robert Creighton, engr. J.& C. Walker for Lewis' Topographical Dictionary . Weymouth area. 1863 Edward Weller (detail from London & South Western Railway Issued by the Weekly Dispatch . Dorset. 1885 Report of the Boundary Commissioners for England and Wales. Dorset. 1886 George, Philip & Son, from "Philips' Handy Atlas of the Counties of England .